← Should We Have Faith in Science? The gates of the city of Gath have been discovered in Israel by archaeologists. It is well known as the home of Goliath, the giant slain by David. We see Gath mentioned in 1 Samuel 17. 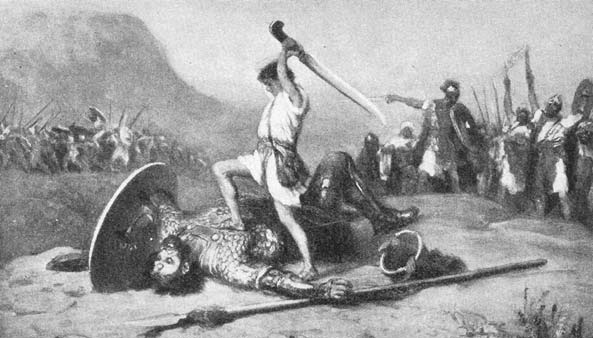 “Then Goliath, a Philistine champion from Gath, came out of the Philistine ranks to face the forces of Israel” (1 Samuel 17:4a). The Bible continues to be proven as true and accurate. “It was the Biblical city where the giant Goliath lived and one of the most powerful in the Philistine empire before it was destroyed in the ninth century BC. Archaeologists have now uncovered the remains of an enormous gate and fortified wall which are giving clues to just how formidable the city of Gath may have been. This entry was posted in Archaeology, Bible, Israel and tagged archaeology, Bar-Ilan University, biblical archaeology, David and Goliath, Gath, Gath gates, Goliath, Hazael King of Aram Damascus, Israel, King David, King Saul, Philistines, Professor Aren Maeir. Bookmark the permalink.